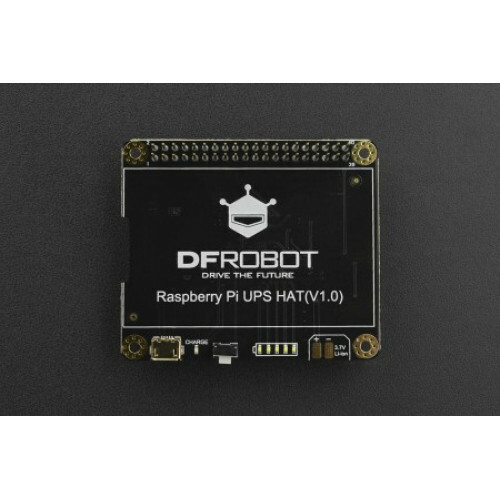 DFRobot Raspberry Pi UPS HAT is an uninterruptable power supply shield for Raspberry Pi. 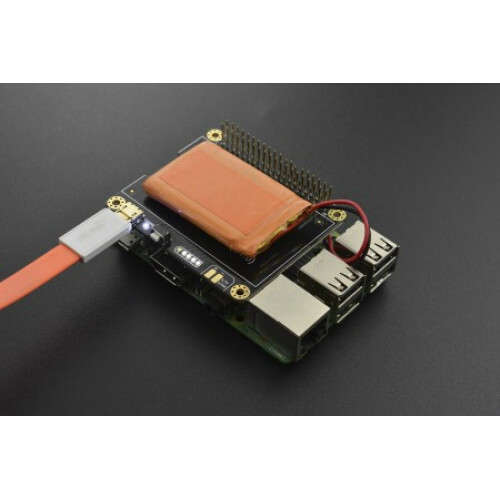 It can provide steady power source to Raspberry Pi for an extended period of time when the system is powered-off, by which to avoid system damage and assure safe shut down. 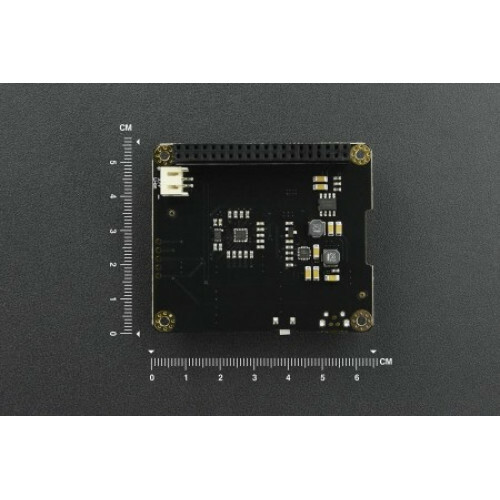 In addition, the product could be used to supply stable power for some applications requiring mobility such as, Raspberry Pi camera, tablet PC, field data collection system. A MAX17043 fuel gauge is adopted in this product for accurate power detection. Beside, we also employs an on-board microcontroller (MCU) for data processing. 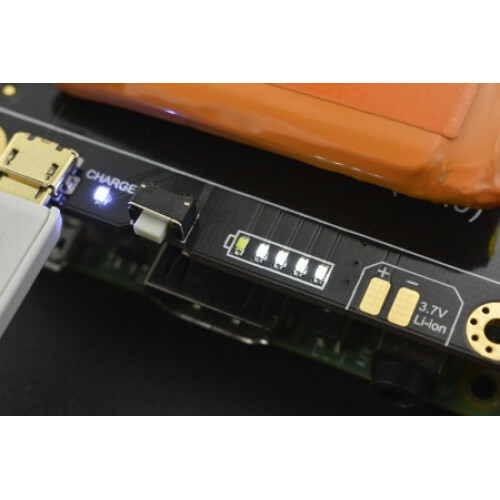 In this way, Raspberry Pi board is able to get information of power capacity and battery voltage directly via I2C communication. 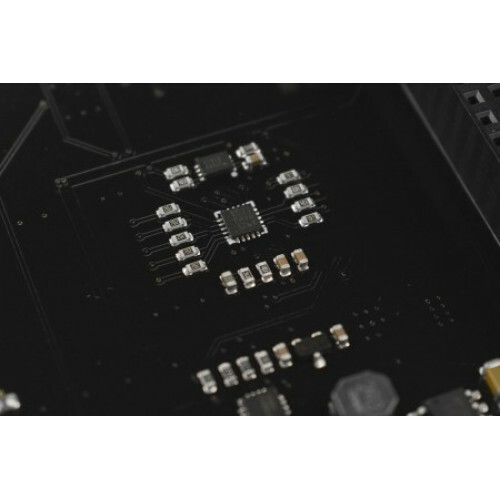 5 on-board LEDs for the shield could show the status of the battery capacity visually without programming. We adopted an excellent power management solution in this Raspberry Pi UPS HAT. Over 90% power conversion efficiency and non-diode design make the shield able to keep low heating temperature even under continuous high load operation of Raspberry Pi. Please note that there would be a certain degree of heating in the power source area of the product during operation, you can never be too careful in use.